Cooking veggies in an Instant Pot can be tricky. Once you have an Instant Pot Pressure Cooker, you almost forget you've got other pots and pans, even though it's sometimes just as easy to cook something in your normal repertoire of pots and pans. 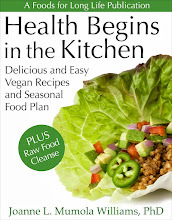 One of the biggest challenges for me, with my Instant Pot, is cooking vegetables. If you get the timing wrong, your crisp veggies can easily turn to mush. So it's a matter of experimenting and getting to know your individual pot and each individual vegetable. I suggest you keep a little notebook and experiment with different dishes (this goes for grains and beans too). 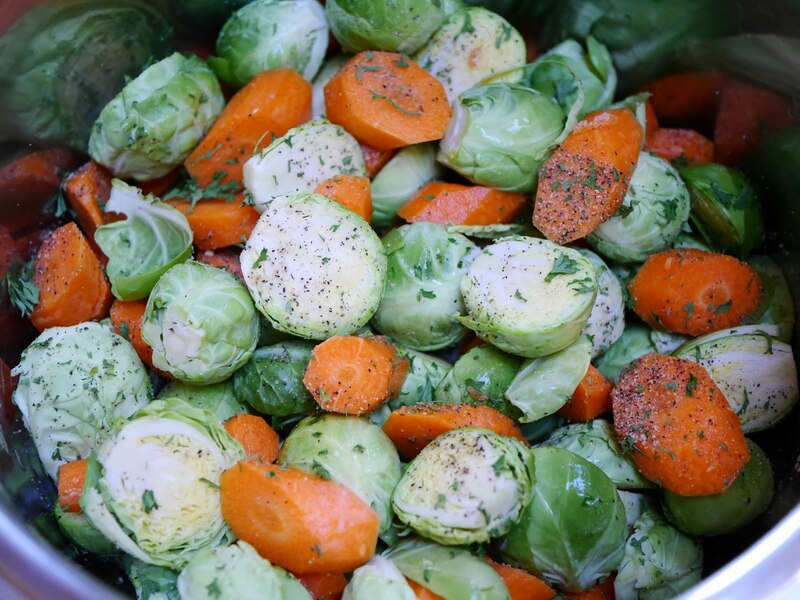 Once you've perfected the timing for each of your favorite vegetable, you can then attempt to cook several of them together. The easiest pairings are those foods that aren't that picky, like mushrooms. You can throw them in with anything and they will be just fine. But other veggies are a bit more tricky. 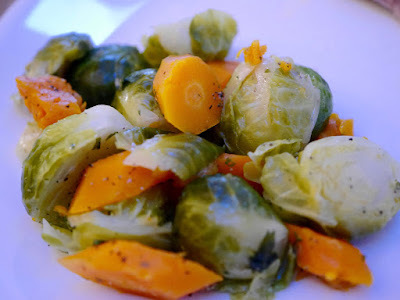 For example, Brussels sprouts and carrots. 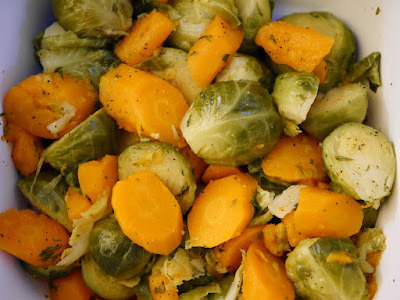 Brussels sprouts take a bit longer to cook than carrots but if you cut the Brussels sprouts in half and cut the carrots in larger slices, you can cook them together in 2 minutes. And if, after your cooking time, the veggies aren't cooked enough, don't turn the pot back on - just place the lid over the pot and wait a few minutes. But the key is experimentation. I have watched broccoli turn to mush in a single minute because I cut the florets too small so now I leave them in bigger pieces and only cook them for one minute. You can also play with the pressure, cooking them on lower pressure instead of higher pressure. *ghee is not vegan but is lactose and casein free. Trim the ends off of the Brussels sprouts and cut in half. Rinse and place in the Instant Pot. Peel the carrots and cut thick slices on the diagonal. Place them into the Instant Pot together with the remaining ingredients and stir. Hit the "Manual" button and set for 2 minutes at high pressure. When done, hit quick release and carefully open the lid. If the vegetables are not yet cooked, just set the lid back on top and wait a minute or two. Per serving: 73 calories, 1 g total fat, 0 g saturated fat, 0 mg cholesterol, 112 mg omega-3 and 100 mg omega-6 fatty acids, 4 g protein, 14 g carbohydrates, 6 g fiber, and 160 mg sodium. Thnks, I liked it. I added only salt and a different herb, 1 ts sunflower oil, did not do the quick release, opened the pot and forgot to turn the keep warm function off :) So it browned a bit after pressure cooking, it was nice. Will def make more often. I am always searching for nice veg recipes which do not include night shades. The browning might have given it a nice flavor! Glad you liked it Julia.